Hungry visitors to Anna Maria Island will be playing a vital role in environmental restoration thanks to a new local partnership aimed at collecting and reusing cast off oyster shells to restore the environment. The shells will be placed in the waters at Manatee County’s preserves. Adding shells to the preserve waters will create critical hard bottom habitat, providing a hatchery for new oysters and other marine creatures. Tampa Bay Estuary Program (TBEP) awarded a one-year grant to START to initiate the oyster shell pilot program for Manatee County. The implementation team includes START, several departments in Manatee County government, The Chiles Group, University of Florida IFAS/Extension, and the Gulf Shellfish Institute. The Chiles Group restaurants have volunteered to collect, clean and transport used clam and oyster shells to the Manatee County Preserve. Tampa Bay Estuary Program is a longtime partner of Manatee County and supporter of estuarine restoration. A key component of TBEP’s grant process is to include opportunities for education and research, and this project has been carefully planned to feature both of these elements. Gulf Coast Shellfish Institute’s scientific and Manatee County educational professionals will lead volunteers in placing the shells and in scientific experiments. One intended research effort is studying the difference between new oyster colonization on the recycled shell material versus the fossil shell material that has been utilized in past oyster restoration activities. According to START Chairman Sandy Gilbert, “This is a unique partnership because it is multifaceted, involving the general public, government agencies, businesses, the scientific community, volunteer students and non-profit organizations. 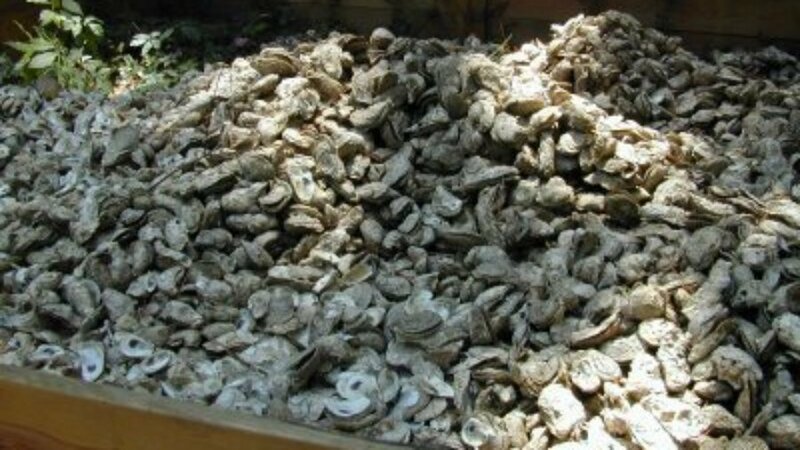 The Gulf Coast Oyster Recycle and Renewal Project (GCORR) specifically involves oyster restoration, but its execution will positively impact many other aspects of our daily life including the environment, business, government, and the human experience.” Marine habitat will be created and shoreline erosion will be reduced by the creation of new hard bottom. Oysters filter water, improving water quality and more oysters increase the local food supply. For more information about START please visit www.START1.org. Those seeking volunteer opportunities are asked to contact Manatee County’s Parks and Natural Resources Department at 941 748 4501 ext. 6042 or email www.mymanatee.org/parks.